What the hell is going on with Hellboy’s abs here? It seems like it’s been ages since we got our first look at noted father figure David Harbour as the new take on Mike Mignola’s Hellboy or heard anything major about Lionsgate’s upcoming reboot of the beloved franchise. Thankfully, today, that changes. As much as we all loved Ron Perlman’s Hellboy, there was a certain degree of lightheartedness that always made him a bit more lovable than his name let on. It’s interesting that Marshall’s choosing to at least partially try to play up some of the character’s more monstrous elements—something made clear by his much grimier, more demonic appearance here. 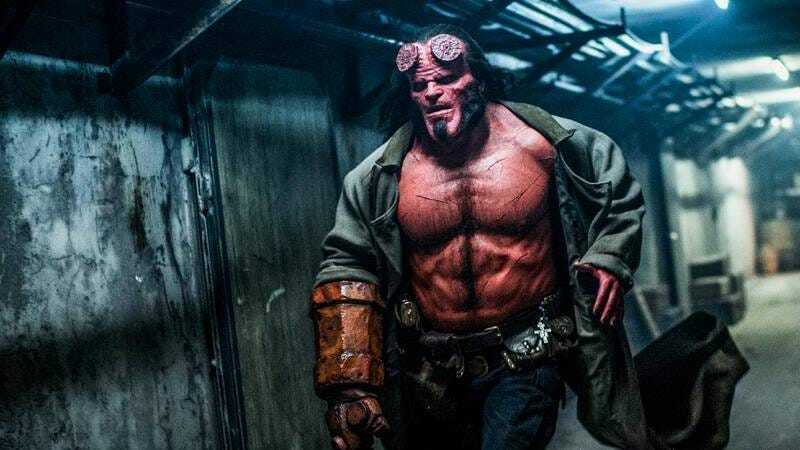 What’s really scary, though, is that when Hellboy bursts into theaters on April 12, 2019, it’s going to be impossible to look at his barrel chest and not see it as a humongous, throbbing heart. The Hellboy Tabletop Board Game Will Turn You Into a Member of the B.P.R.D.